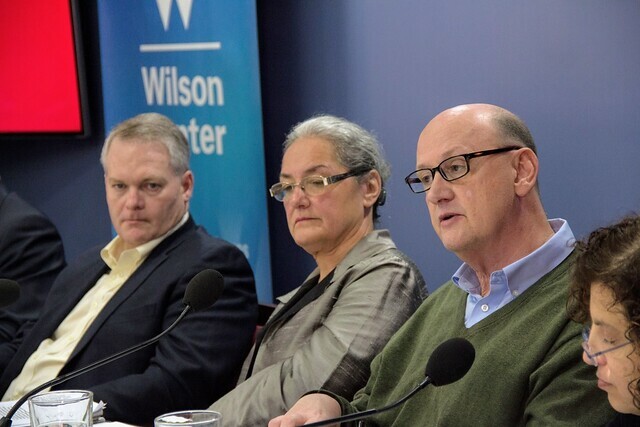 “Resilience isn’t an outcome,” said USAID Resilience Coordinator Greg Collins at a recent Wilson Center event on measuring resilience; it is “the ability to manage adversity and change without compromising future well-being.” The wide array of individual factors that contribute to building resilience—ranging from livestock insurance and microsavings, to risk tolerance and women’s decision-making—can be challenging to measure individually, let alone in concert. But this assessment is essential for designing and implementing successful development projects: “We have to be able to answer the question: Is this building resilience, yes or no?” said Cornell University’s Chris Barrett. Resilience can be “building back better,” but it can also simply be a lack of negative outcomes, which makes it hard to measure in the same way as other development goals, such as access to clean water or energy. Some traditional indicators—household income level, disaster preparedness, and access to formal safety nets—can be useful ways to measure resilience. But development practitioners can learn more about resilience by measuring the psychological and social factors that underlie it. Resilience is not strictly response to large stressors and shocks; it is also how people handle a series of “idiosyncratic shocks—a health crisis within an individual household, or a loss of a wage earner,” said Collins, “that are just as important to people’s ability to withstand shocks and stresses as big droughts.” Thus, assessing the psycho-social dynamics within households is critical. “It is about people’s capacities, and empowering people to make choices; and it is why things like social capital and aspiration matter so much,” added Collins. linking communities vertically with higher-level authorities. This “bonding-bridging-linking” sequence is key to developing effective capacities for community and household-level resilience. It is also important to measure key psychological traits, including aspiration, self-efficacy, and the confidence to adapt. We must understand and generate evidence of “the behavioral factors that are making a difference in resilience,” said Mock. Women’s empowerment is a “strategic source of resilience,” said Mock. Women’s empowerment can be measured by assessing a woman’s ability to participate in community activities, her decision-making power, and her mobility, said Langworthy. Through its household monitoring, TANGO International has found that women’s empowerment plays a strong role in recovery and transformation processes. Evaluating the effects of microsavings groups, such as CARE’s Village Savings & Loans Associations, may also help in the quest to quantify women’s independence. In Mali and Somalia, for example, these groups had “a very catalytic effect” on women’s resilience, said Mock, by giving women a space to take their finances into their own hands and develop financial safety nets for themselves. “I do hope that one of the takeaways for people today is how far we’ve come on resilience measurement,” said Collins. But despite great strides in understanding the traditional and non-traditional factors that contribute to resilience, developing the tools to quantitatively measure this qualitative concept remains a challenge. 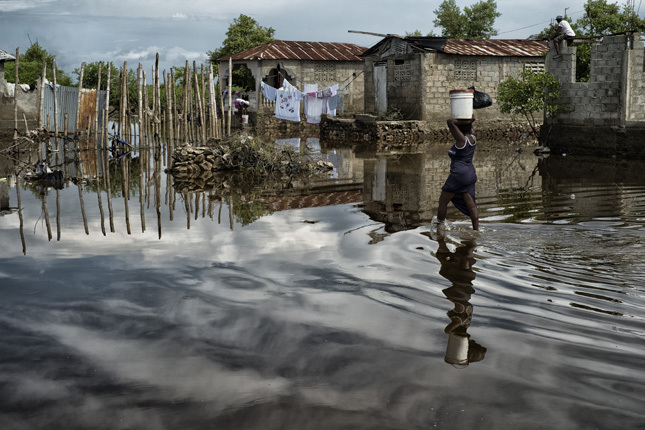 Photo Credit: A woman carries supplies through a flooded street in Cap Haïtien, November 2014, courtesy of United Nations Photo.